As part of the agenda, the Commission invited stakeholders to join the process of improving the quality and relevance of skills training, making skills more visible and comparable across Europe and improving information to enable people to make better career choices. “City authorities’ understanding of local labour markets and proximity to citizens means they are in the ideal position to help deliver on the New Skills Agenda for Europe,” Eurocities said in a statement. The organisation stressed that cities’ knowledge of their own local labour markets would allow them to develop the skills that match their individual needs. By developing programmes to train young people and the long-term unemployed in priority areas, city authorities would aim to stimulate the creation of high value and high skilled jobs. With such varied standards of education in digital skills across the 28 EU member states, the focus of the New Skills Agenda on local action was welcomed by Eurocities. “We are pleased to see the role of cities recognised in the New Skills Agenda for Europe,” said Anna Lisa Boni, the secretary-general of Eurocities. According to Commission data, only 26% of Romanians possess basic digital skills, compared to 86% of Luxembourgers and 67% of British citizens. The European Commission has identified the tech and healthcare industries as two sectors where companies struggle to find employees who are properly trained. Changes to chaotic EU visa rules could help workers move to Europe if they receive a job offer—and their chances are better if they find work in the tech or healthcare sectors. Earlier this week, the Commission announced that it wants to make it easier for non-EU citizens to take on jobs in Europe under the Blue Card visa scheme for skilled workers. 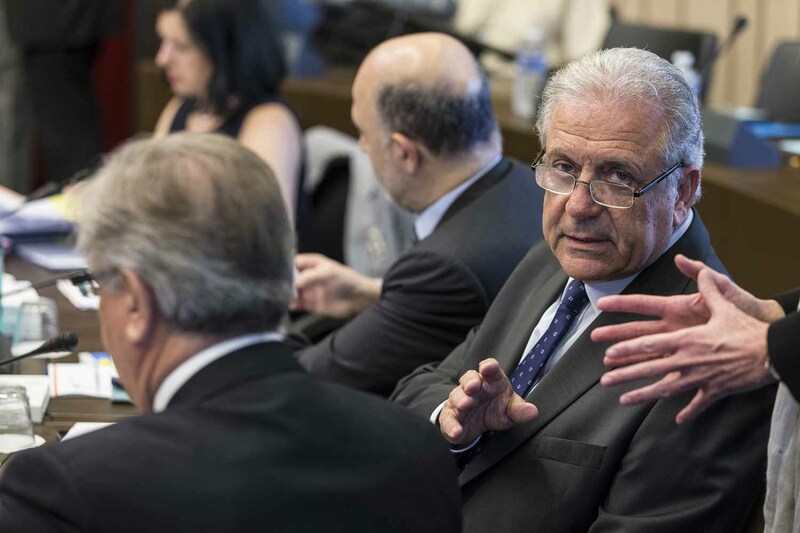 Migration Commissioner Dimitris Avramopoulos said the programme should compete with the United States’ green card system because the EU is expected to lose 20 million workers by 2036. According to the Commission's figures, there will be 756,000 unfilled jobs in Europe's tech sector by 2020. When the Commission presented a detailed ranking of digital skills and internet connectivity in February, EU Digital Commissioner Günther Oettinger said, “Overall we have to say that Europe is behind.